If you all are like me, you are still– January 3– asking yourself ” Can it really be 2011 already? Yikes, already?! For me, it is year that I enter with slight trepidation as 2011 is, in fact, the year that I turn 30 years old. But despite my feeling about 2011 (and hang-ups about my fleeting youth), I do know that New Year’s Eve 2010 will be one that I will remember forever. I spent the morning with all my buddies from PAN who are currently on vacation at a country farm in an area called La Estrella. 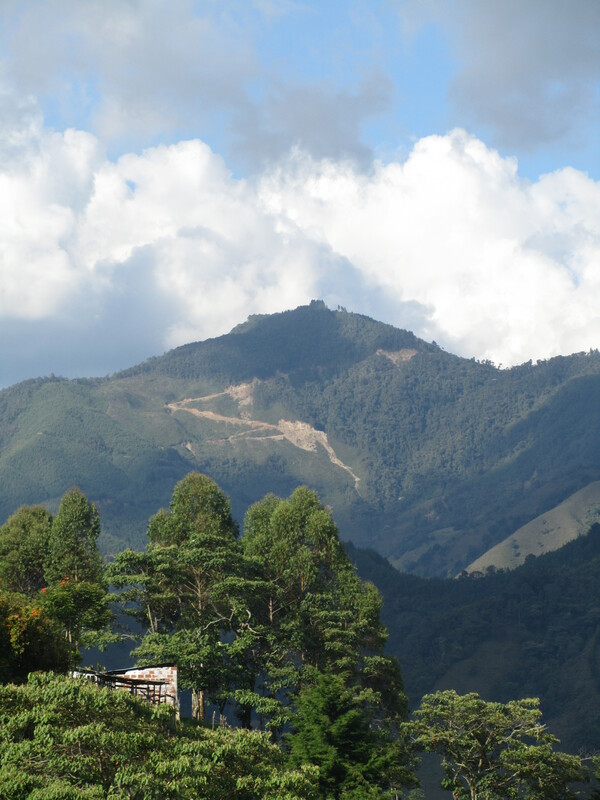 This little farm in La Estrella is actually another PAN facility, but since it is just used as a developmental preschool, during the summer vacation months, the internados (kids who live at PAN) spend a week enjoying the country lifestyle. The Pièce de résistance of this little trip is most definitely the swimming pool. Yes, it was a little on the dirty side. Yes, there may have been a little less water than some would have liked. 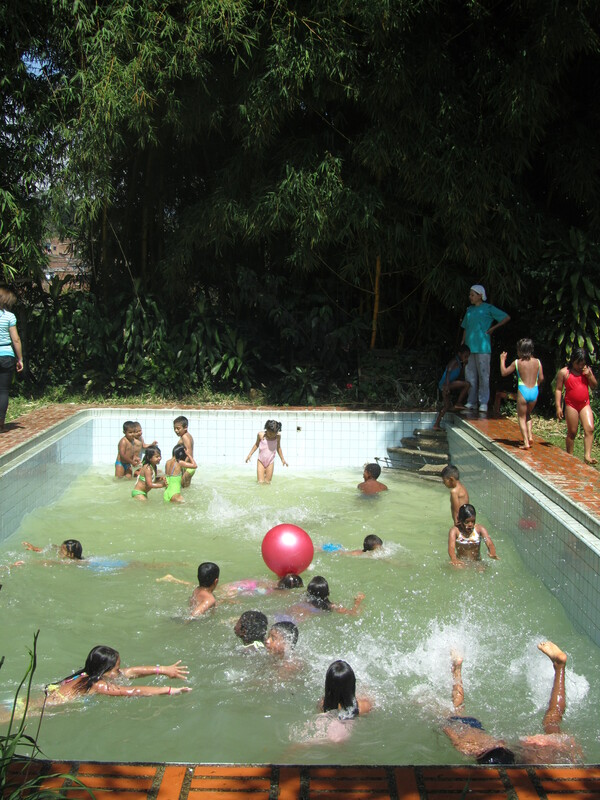 And the pool might have been a little small for 40+ kids. But these kids could not have cared less! They swam for hours. Jumping in, climbing out, jumping in, climbing out, diving, splashing, jumping in, climbing out. 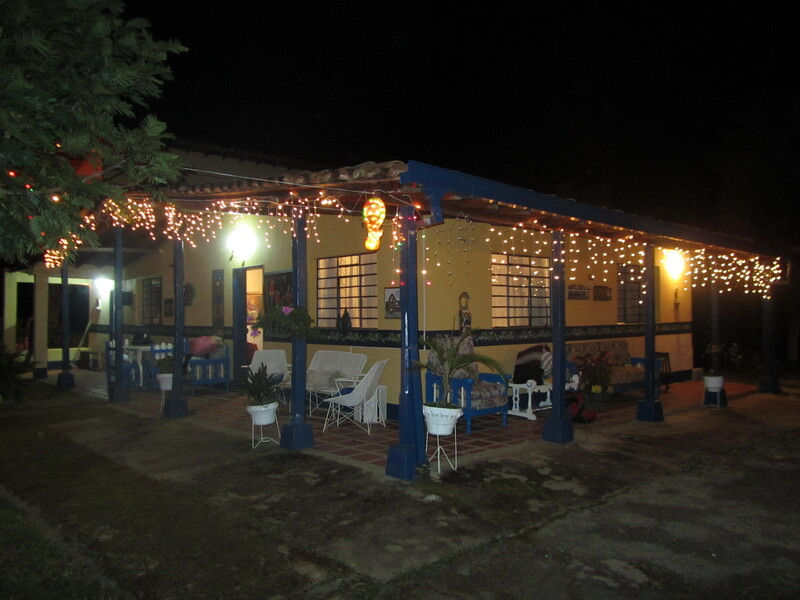 Then that evening I rushed home to Gloria– we were to leave prmptly at 2:00 (4:00 Gloria time) to spend New Year’s Eve with her peeps at a country house an hour outside Medellin. 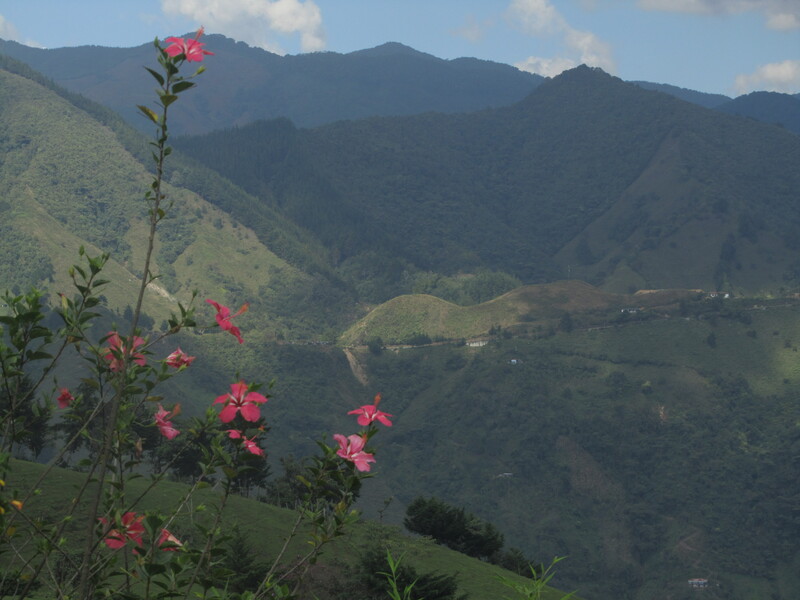 It has been so interesting to participate in all the little cultural nuances of the holiday season here in Colombia. Instead of New Year’s resolutions, they make New Year’s wishes. 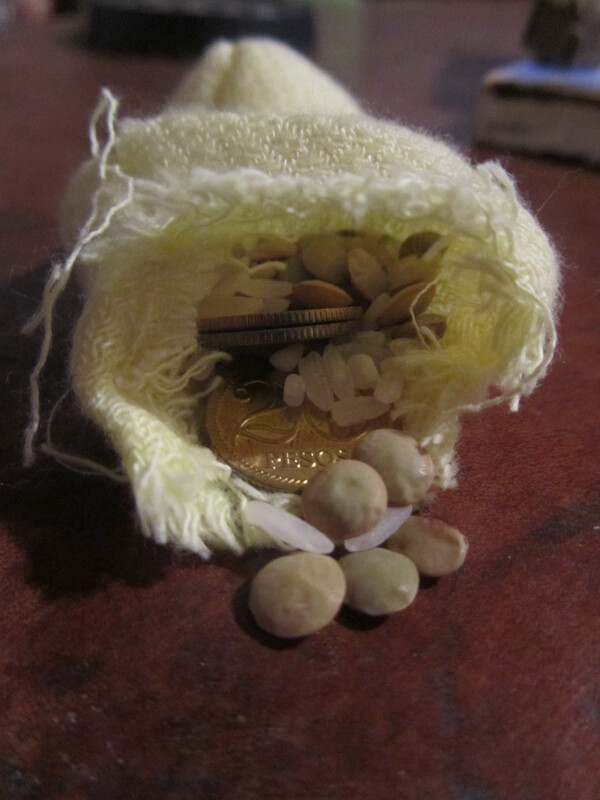 So we made these little bags and inside we put rice, lentils and 12 coins to represent the wealth, health and luck that we would like to be blessed with during the upcoming year. At the strike of midnight (and the 10 minutes after) the following happened: Blessing and thanksgivings were said to Jesus and the Virgin Mary for all that the last year had provided and the blessing we hoped for the upcoming year. Incense was burned. Bells were rung (as one of Gloria’s friends marched around the house repeating what sounded like a prayer and chiming the bells), Gloria picked up a suitcase and began running around the entire farm shouting that she was going to Spain… going to travel (that is her 2011 wish-travel), me chasing the two of them around with my video camera, we drank a little champagne and had a toast, hugged and gave kisses on the cheeks, we all ate 12 grapes and had to make a wish on each on of them (at about 10 I started to struggle a little to come up with legitimate/solid wishes), said a few more prayers. And then sat outside and enjoyed the fresh and cool mountain air, danced and sang along to the music. Then, new years day I awoke to 2011 and this impressive view in daylight. So happy new year to you all. I hope that this year brings happiness, peace and tons of great adventures!! 2011 here we come! what an incredible end to 1 year and a start to the new — just fabulous. Happy New Year! I love the pictures. 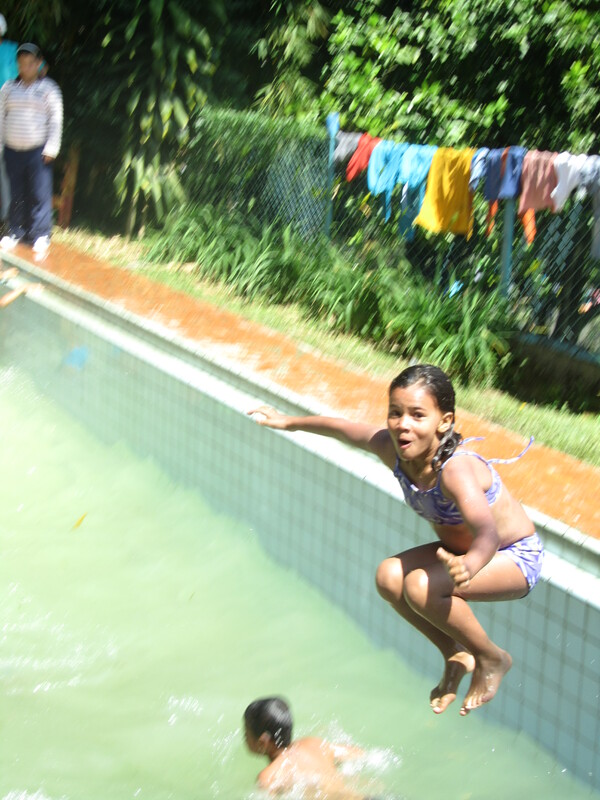 The country side looks beautiful and the kids, well what kid doesn’t love a jump into a pool on a sunny day.